Click here for the full flyer! 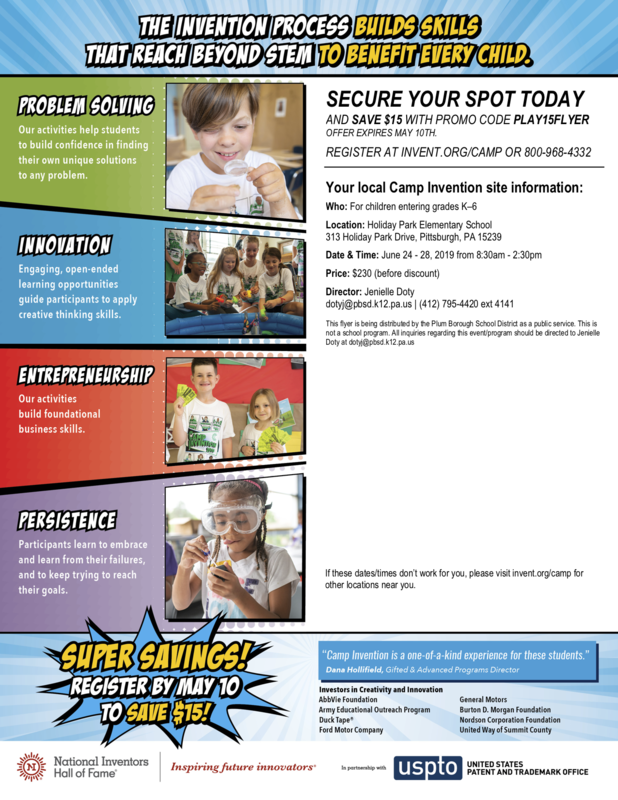 Calling all campers age 7-14! at PHS. Download your flyer today! 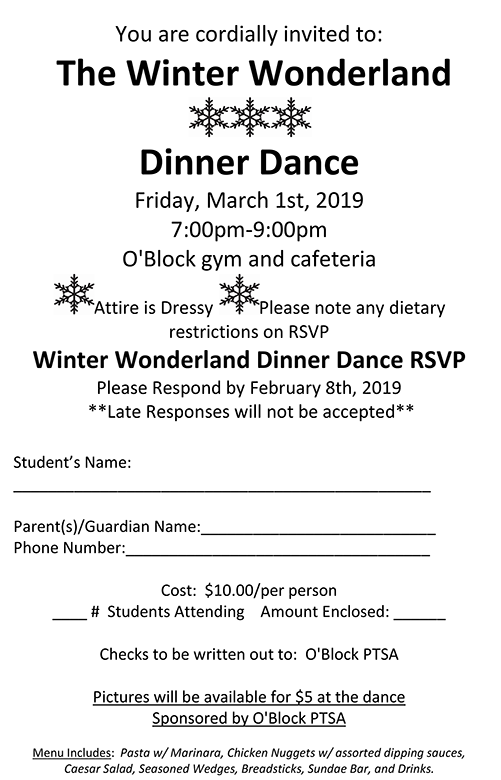 The Oblock PTSA will have their Winter Wonderland Dinner Dance on Friday, March 1, 2019! The event will be from 7:00 PM - 9:00 PM. The cost is only $10 per person and the attire is dressy. 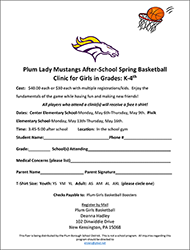 You can RSVP at www.pbsd.net/oblockjuniorhigh_home.aspx or use the attached download. Come show off your best moves on the dance floor! of your event to Charlene Payne at paynec@pbsd.net. The information contained in this area is posted as a public service announcement. 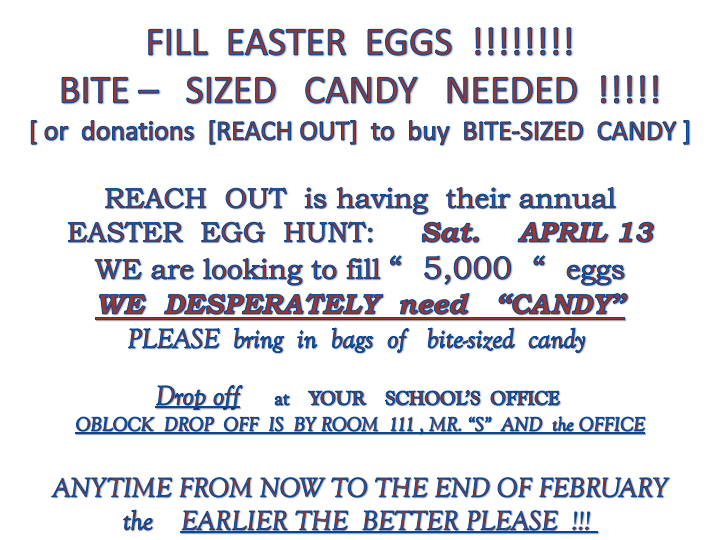 Please do not contact Plum Borough School District for additional information regarding these postings.